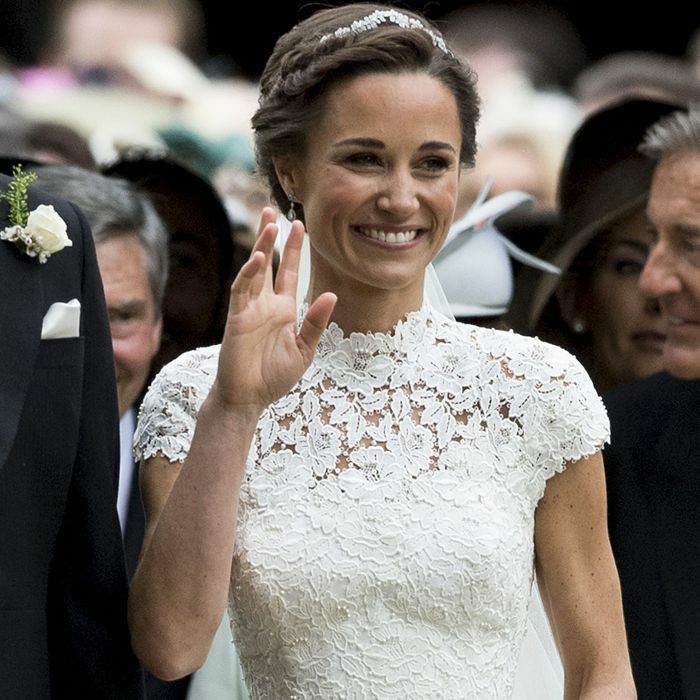 It didn’t have quite the same hype as her sister’s royal wedding, but the nuptials of Pippa Middleton and businessman James Matthews captured worldwide attention this weekend nonetheless. And though Prince George and Princess Charlotte nearly stole the show with their adorable antics, as could have only been expected, Middleton looked absolutely gorgeous in her Giles Deacon gown. Also to be expected, like it or not, reports regarding the bride’s pre-wedding diet and fitness regimen began to circulate well before the actual big day. In a word, it was… intense. According to E!, Middleton followed the Sirtfood diet, a regimen that’s controversial for its 1000-calorie cap on certain days. The eating plan, developed by Aidan Goggins and Glen Matten, bills itself as a way to unlock the body’s “skinny genes.” Also known as sirtuins, they’re proteins that protect our cells from inflammation and disease, and can help build muscle, burn fat, and boost our metabolism. There are certain foods (typically those rich in polyphenols) that can activate sirtuins more than others, which is the basis for the Sirtfood diet: Walnuts, matcha, coffee, olive oil, kale, and turmeric all make the list. The issue, however, is that the plan itself is considerably hard-core. It consists of different phases of calorie restriction, including a three-day period in which those following the regimen aren’t supposed to eat more than 1000 calories per day. That’s problematic for many experts—some even say that it’s dangerous to go below 1200 calories a day. “In addition to not giving yourself the proper energy and nutrients you need each day you’re on this fad diet, eventually you’re going to go off of it,” registered dietitian Brigitte Zeitlin tells The Cut. In other words, voluntarily putting your body into starvation mode is a bad idea all around. That’s not even to mention that Middleton’s restrictive regimen highlights a much larger problem—especially when it’s glamorized on such a global stage. While every bride wants to look and feel great on her big day, why does that have to mean “shedding for the wedding?” The sing-songy rhyme we have for this phenomenon speaks volumes in itself: We’re sugarcoating this unhealthy cultural idea that brides should go to great lengths to conform to a certain body type for a day that, in actuality, should have very little to do with that. Stepping it up at the gym is one thing; putting your body through something it simply was not built for is quite another. Also, aren’t you dealing with enough stress leading up to a wedding without the additional dose of hangry? Maybe if we do away with “shedding for the wedding,” the bridezilla trope will follow. Turn your focus to ultra-pretty makeup instead—shop some of our favorite bridal beauty picks below. Thoughts? It’s a controversial issue for sure. Sound off in the comments below.